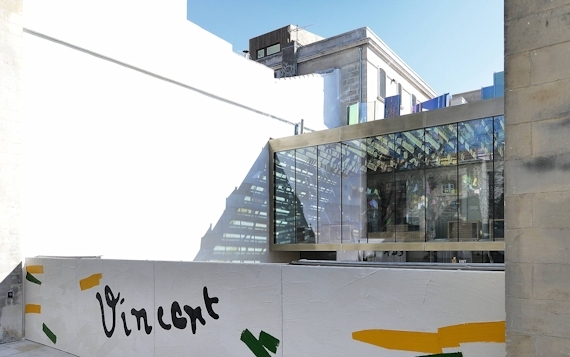 In 2014 the Fondation Vincent van Gogh Arles moved into its permanent home at the Hôtel Léautaud de Donines, currently under restoration by the FLUOR architectural agency. The Fondation’s new premises comprise over 1000 square metres of exhibition space spread over two floors. The main gallery on the ground floor welcomes the first in a series of exhibitions on the work of Van Gogh being curated by Sjraar van Heugten. In the adjacent areas, Bice Curiger presents brand new installations by contemporary artists in homage to the Dutch artist. From 17 November to 10 February 2019 : Open from Tuesday to Sunday from 11am to 6pm. Last admission at 5.15pm. From 2 March to 21 April 2019: Open from Tuesday to Sunday from 11am to 6pm. Last admission at 5.15pm.